Passive heat caused when a room or space is facing the sun or under its direct light. This accumulated heat is gathered in the afternoon and manifests in the evening. Air leaks in and around areas of the house. Loose fittings, windows, doors etc. causing air loss in one way or the other in combination with poor insulation easily marry to birth transient temperatures across house zones. Invite professionals to inspect your ductwork for leakages and need for insulation. Blocked vents or registers: Most housings have their heat distribution structure based on an interconnection of vents. It is likely that obstructions can resist the air distribution. Solution: In such cases, it might simply be a move of whatever obstruction that has been placed in front of the vent that is needed to free the cool air/hot air as needed. Outdated design and mismatch of HVAC unit and space dimensions: A part of home and space renovations is the HVAC considerations. It is possible that due to the changes made to the floor plan, wall paint etc. This is because of the introduction of new materials with different coefficients of heat transfer compared to the old materials. Another strong contending reason for varying heat signatures is a mismatch case. If the HVAC unit in place within the house are too small compared to the size of the house, the unit will keep trying to meet up with the demand even though it is above its design capacity. Conversely, bigger systems could over-concentrate the heat in specific areas of the house more than others. This could make it cycle on and switched off intermittently a lot. Consequently, the humidity is never truly removed from the space it is working within. The imbalance caused by mismatched systems make it difficult to control the specific heats of the various house zones. Thereby causing the creation of hot and cold spots spread across the house. Solution: there might be a need to make a few adjustments to the unit size and ductwork. General alternative solutions: Rather than feeding the entire house with a certain controlled temperature. 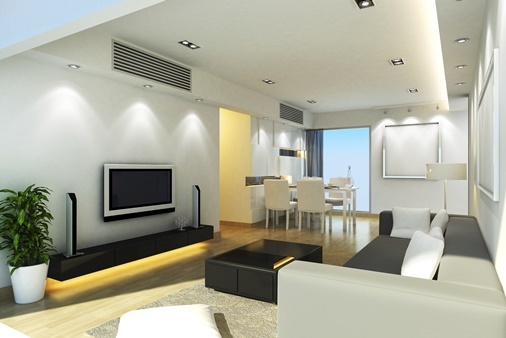 It is possible to create sections within the house with separate systems which can be controlled using ductless split systems to regulate the zone temperatures to different temperatures. Not only is this inexpensive on the utility bill, it is easy to install and it also provides a certain level of control and comfort to living in such a home. Ultimately, when faced with the problem of uncontrollable varying temperatures across a designated area. The safest bet is to call in a professional for inspection and recommendations.